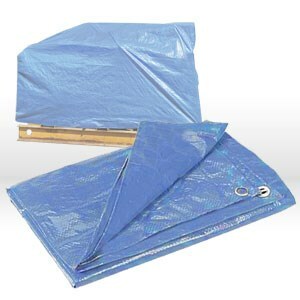 Blue tarps are waterproof, 8 x 8 weave count, 4.75 mil, UV treated on both sides. Light weight yet extremely durable! Rust resistant grommets, heat sealed seams with reinforced hems. Water and mildew resistant. Excellent for construction and landscaping applications.